All Oreland homes currently listed for sale in Oreland as of 04/21/2019 are shown below. You can change the search criteria at any time by pressing the 'Change Search' button below. If you have any questions or you would like more information about any Oreland homes for sale or other Oreland real estate, please contact us and one of our knowledgeable Oreland REALTORS® would be pleased to assist you. "24 hour notice to show please. Welcome to 1 Ronald Circle in the popular neighborhood of Heritage Farms. This is by far the largest model and one of the prettiest houses on the circle! Custom designed by the owners to add additional square footage and a 2 car attached garage, a home this size is hard to find in Springfield Township. Lovingly cared for, this home features everything today's buyers are looking for. 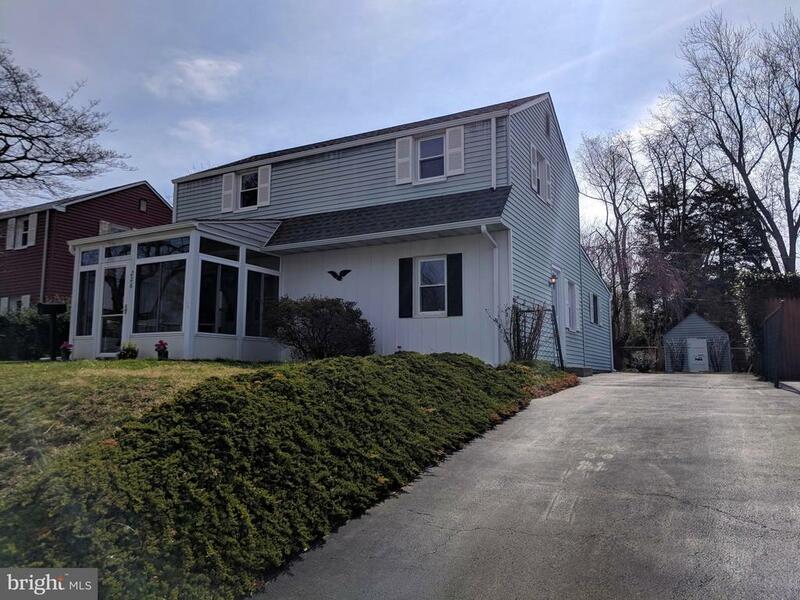 2 fireplaces, expansive family room, master bedroom suite with bath and balcony, finished basement with bar, powder room and possible 5th bedroom, rear deck, and fenced yard with (12x10)shed. The formal living room and dining room both feature crown molding, chair rails, recessed lighting and Pergo flooring. Kitchen amenities include custom island, new back splash, stainless appliances, pantry, computer area and recessed lighting. The open floor plan of the main level provides easy flow from the kitchen into the huge family room with fireplace, an abundance of floor to ceiling windows and exits to the garage and rear deck. The interior walls along the entrance hall have been opened to incorporate the finished basement into the living area and allowing for the flow of natural light throughout. The main room in the basement(21x17)includes a custom bar with sink and large sitting area with powder room, a finished additional room(17x16)that can be used as a possible 5th bedroom, and plenty of storage. Additional square footage was added to the master suite providing space for a sitting room with fireplace, his/her closets, master bath with jacuzzi tub, stall shower and private balcony. Three spacious bedrooms, updated hall bath, laundry and pull down stairs to floored attic complete the 2nd floor. There is wall to wall carpeting throughout the upstairs and ceramic tiled baths. New roof in 2016, new heater/air in 2018, and new black top driveway. All this and a great neighborhood too! Conveniently located close to Rte. 309 and the Pa turnpike, O"
"This home is a like a fine piece of artwork. There is not another like it, and once its sold, you cannot just go out and buy or build another one. Absolutely STUNNING artistic refinishing of classic architecture and design on sprawling level lot w/ mature landscaping on quiet street back a drive w/ private rear covered patio. Home offers completely redone kitchen and baths w/ subway tile, ship lap, exposed authentic stained wood shelving, farm sink, stainless appliances, granite countertops porcelain bath bowls on top of custom wood vanities, lovely tiled glass enclosed bathing facilities, exposed wooden beams, hw floors, wood burning fireplace, built ins throughout, dazzling custom lighting, replacement windows, brand new roof and new heating/ac! PRIVATE SHOWINGS ONLY NO OPEN HOUSE." 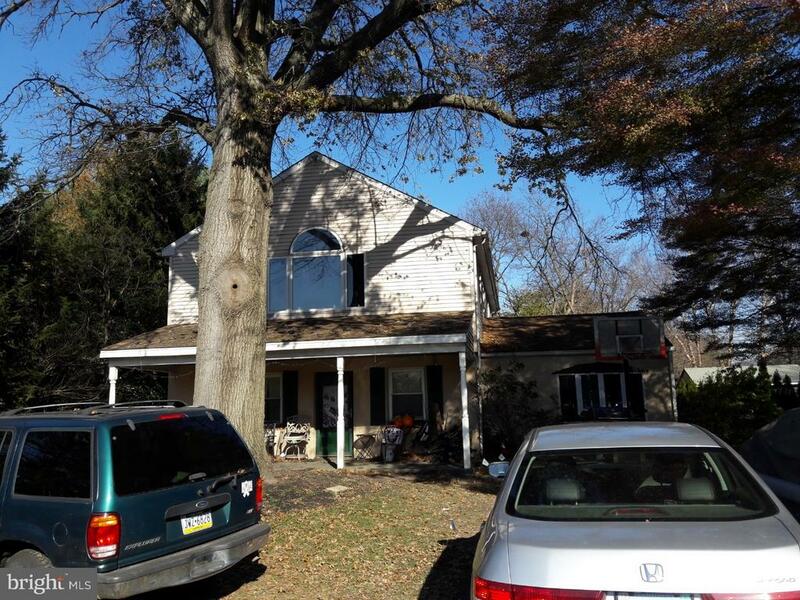 "Move right in to this well-maintained Colonial in Springfield Township! This 3-bedroom, 1-bathroom home is located in the heart of a sought-after Oreland neighborhood. The picture-perfect mature lot sets the stage for what's inside; a spacious floor plan highlighted by refinished hardwood floors. Step through the front door and you'll discover a bright and cheery living room and adjacent dining room, both highlighted by ample natural light and neutral painted walls. The dining rooms boasts with a large rustic light fixture, crown molding, and built-in corner China Cabinets. Next, you will discover a large family room with 8 recessed lights, plantation shutters, TV wall hook-up, and a sliding door to the rear yard. The kitchen is complete with granite countertops, recessed lighting, deep stainless-steel sink, a Maytag dishwasher, built-in range, and tile floors. An expansive screened-in porch awaits your entertaining and relaxation needs with vaulted ceilings, 2 ceiling fans, and views of the lush backyard! Moving to the second floor, you'll find a master bedroom, two additional bedrooms, a full bathroom with a tub/shower, a linen closet, and access to the attic with pull down stairs for additional storage. Each bedroom has hardwood floors, ceiling fans, and spacious closets. Don't miss this impeccable home with close proximity to the train, shopping, Springfield Township schools, and the PA Turnpike! One-Year American Home Warranty included!" 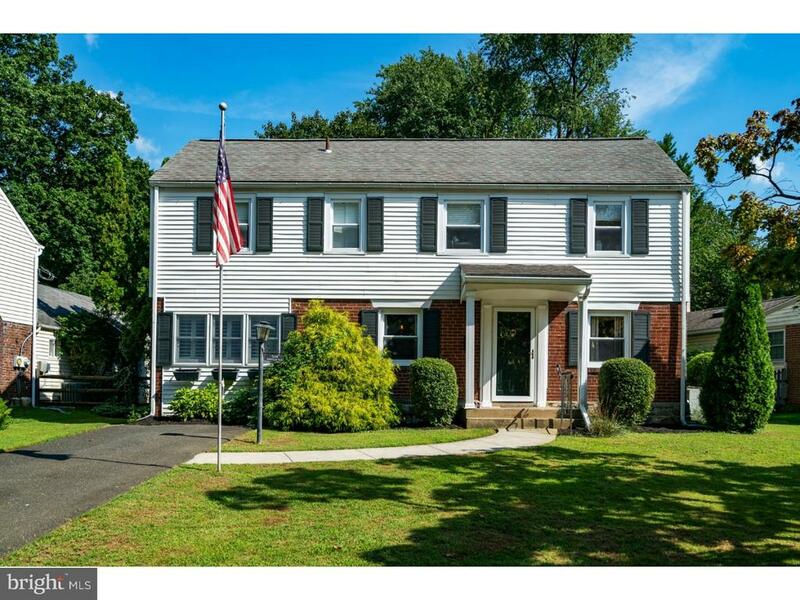 "Welcome home to this immaculate, lovingly maintained 4 bedroom colonial home in the heart of Oreland! Situated on a cul-de-sac, 311 Roesch AVe gives you everything that you need! Enter from the front porch and be greeted by hardwood floors through the living and dining rooms. The kitchen has been expanded and updated with stainless steel appliances, center island, granite counter tops, Italian tile flooring with a large eat-in area, office nook and access to the rear yard. The first floor powder room has been updated and converted into a second full bath. The dining room offers plenty of space for entertaining. Two additional living spaces off or either end of the kitchen offer so much more space than any other home in the neighborhood. The second floor features four bedrooms and pristine hall bath. And for the gardener, the back yard is all set up for you to exercise your green thumb!" "This charming home will surprise you with its size and the amenities it offers. 5 spacious bedrooms, 2.5 baths, spacious living room, formal dining room, large eat in kitchen, family room with wet bar, exercise room, sunroom; an oversized, detached garage; and a large level yard. New roof and HVAC System in 2017, many new tilt-in windows in 2016. The Seller has had a Pre-Listing Home Inspection done which will be available on-line by Sunday 4/21. First floor consists of a spacious sun drenched Living Room; Formal Dining room; large eat-in kitchen with a view of the rear yard and an outside entrance; one Bedroom (currently being used as an office); Master Bedroom and renovated full bath. The first floor is enriched by Hardwood floors floor with the exception of the Master Bedroom.Second floor consists of 3 additional bright bedrooms and a second full bath.Basement holds the Family room with a wet bar; Exercise room; Powder room; Laundry room; entrance to the enclosed Sun room with Skylights and still plenty of storage room. The oversized Detached 2 car garage that is something any handyman would love. 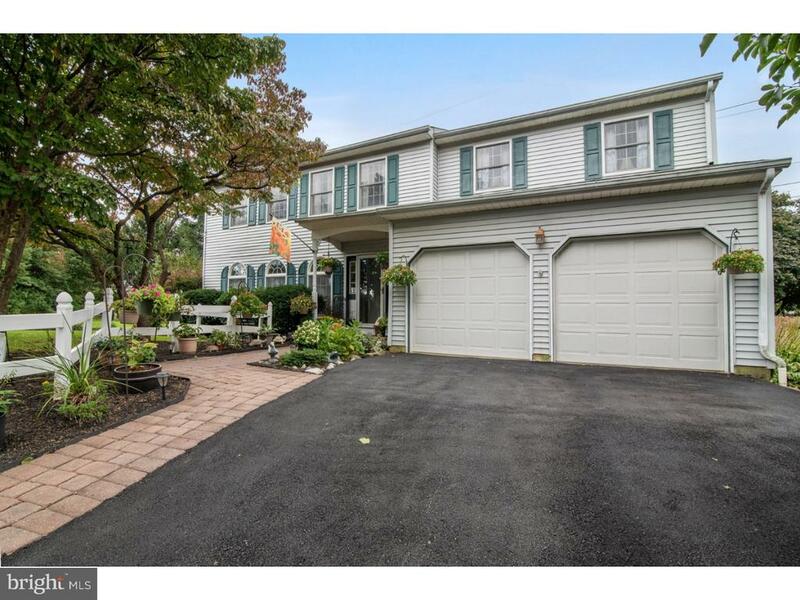 Driveway parking for an additional 5 cars.Sought after Springfield School District, convenient to shopping, Train and Route 309, Turnpike & shopping. Seller is providing a 2-10 one year Home Warranty. Showings begin at Open House on 4/20/2019 and 4/21/2019. All offers will be presented on Tuesday, 4/23/2019"
"Nice size 3 bedroom home in Oreland with lovely yard ! Newer floors, walls & cabinets." "Pristine home, beautifully maintained and decorated. No expense was spared in the 34 years of this homeowner's tenure. The entrance to the Living Room is highlighted by a bay window, custom window treatments, plush carpeting, a corner coat closet, Step-down to a large family room/dining room with supplemental heating, a large corner closet and deluxe brass chandelier. There is also an entrance to the Kitchen/dining room. The kitchen was redone in October, 2009. The counter tops are Corian and the wood cabinets are a complementary Cherry. The hardwood floors are refinished. There is an outside exit leading to a private patio. A row of evergreens are both a living landscape and a breezy addition. The back yard is well landscaped, as are the side yards. By the end or April, the front yard will be lush with trees and perennial gardens. This is truly the best time to view the foliage here. The second floor has three bedrooms, and an entrance to the third floor storage which goes from the front to the rear. The walk up steps and latched door were very well done and are so superior to the normal pull down steps found in so many other Oreland Village homeThe hall bath is ceramic tile and is sparkling and bright. The basement is partially finished (only needs flooring) and makes a great play room. some of the utility improvements follow: Gas Hot Water Heater (2/19); Roof (4/11); Air Conditioning (9/18)Heater (12/09) and Drain Work (2/19). Paperwork is available for all these improvements. Welcome to a beautifully kept home." "Do you feel like you have been searching, and searching, for the one property that truly feels like 'home'? There's hope! Your search ends here! 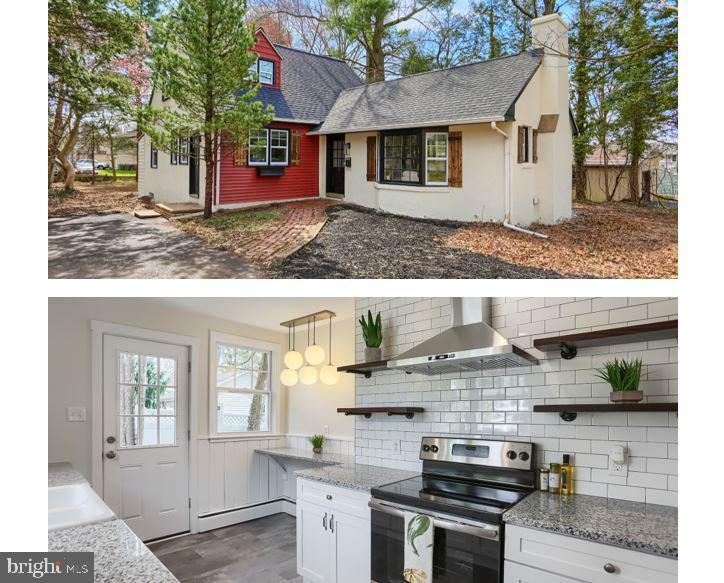 You will understand the feeling as soon as you step foot into this beautifully updated 3-bedroom colonial: Original hardwood floors, recessed lighting, new roof, new electric service, central air, terrific backyard with a large patio, and FANTASTICALLY STYLISH interior. The size of the kitchen will dazzle you: Marvelous storage, chic island with counter seating, excellent counter space, and modern lighting. From the cozy sun porch to the partially finished basement, the interior layout this home provides allows flexibility and space for individual down-time. 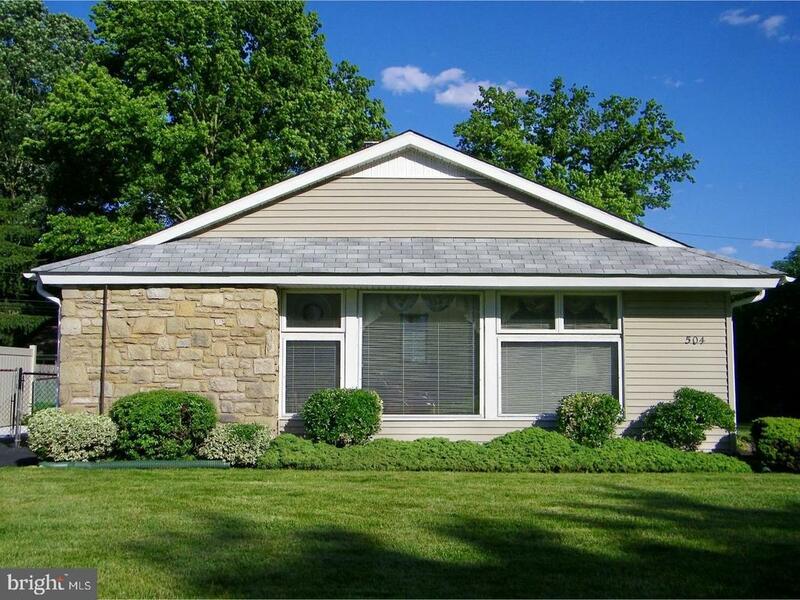 Tucked back on a quiet street, yet convenient to all Springfield Township amenities, this location is excellent. Come, stop by, and experience 226 Allison for yourself." "Updated single family home in Oreland! Fabulous location and Springfield School District. 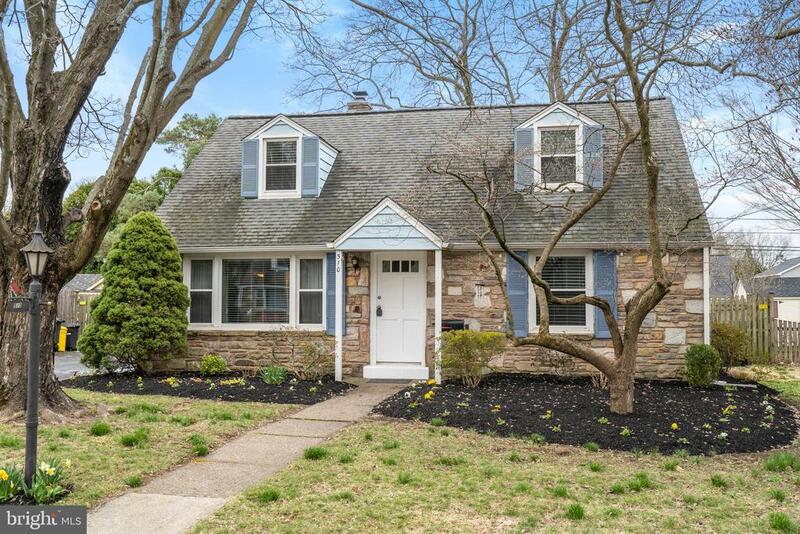 Beautiful stone Cape Cod in a superb neighborhood! Light, bright & airy with a great open floor plan. The kitchen has been updated with new white shaker style cabinets and glass block tile backsplash (2019) kitchen has deep porcelain double sink, stainless steel appliances-rear door exits to large fabulous deck & level fenced yard. New wood flooring on main level (2017) in LR, DR & kitchen. Large living room with picture window & crown molding. Nice sized dining room. Four bedrooms (including a bedroom with sliding doors to deck- would make a perfect den or office!) Two full bathrooms (one upstairs and one downstairs-remodeled in 2015.) AMPLE storage in all bedrooms. Exceptionally well maintained home with tasteful neutral decor throughout. All newer tilt-in windows. Situated on a very quiet, private street- spacious storage shed in rear yard included. 3+ car off street driveway parking. New gas furnace (2018,) central air, new hot water heater (2017.) 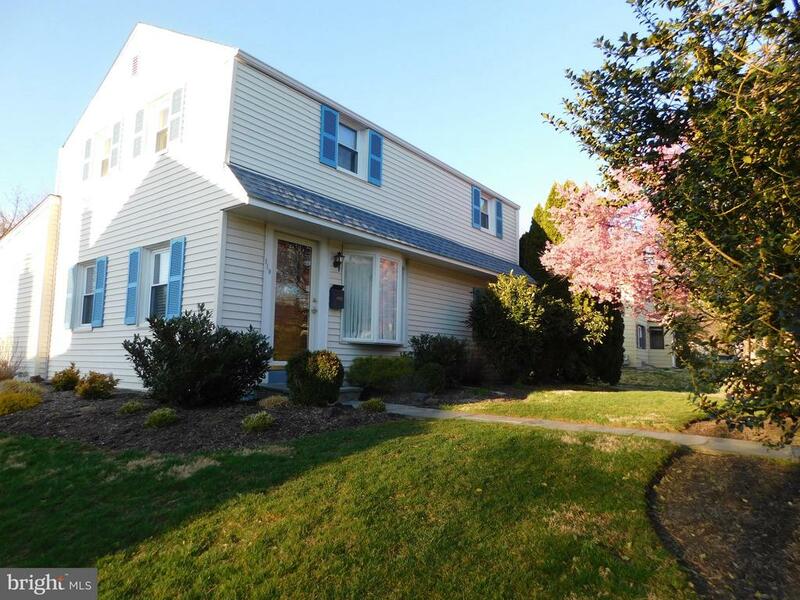 Minutes to Oreland & Flourtown shopping, RR train, Route 309, PA turnpike & all major roads. Short drive to Chestnut Hill & Center City. Exceptional school district." "Beautiful ranch home located on a popular street in Oreland. This three bedroom one bath (newly remodeled with handicap accessible shower), features two of the bedrooms with large corner windows with lots of light. The living space has a gas fireplace and adjoins the dining area. Full size kitchen with gas cooking and a large laundry room. A three season room is in the rear of the home with windows on three sides. This room also has central air conditioning. Central air throughout, gas heat and a one car attached garage. never be left in the dark with a whole house generator. Springfield School District. Well maintained, solidly built, ready to move in." "We are proud to present this skillfully renovated 3 bedroom 1 bath single in Springfield School District. This bright and airy home has a brand new kitchen with all new appliances. The subway tile backsplash adds a great accent to the engineered wood floors and granite tops. There is a nice breakfast bar area to serve your guests while you prep in the kitchen. The pantry adds the necessary storage space to accommodate your needs. The home has been redesigned with a walk in laundry room make the daily chores easier. The main bathroom is completely new with subway tile surround, decorative glass tile niche, new bath tub, new toilet, and new vanity. The bedrooms are freshly painted and have new carpet. There is a nice fenced in yard perfect for pets, parties, and playing. The driveway provides ample off street parking for the home and guests. 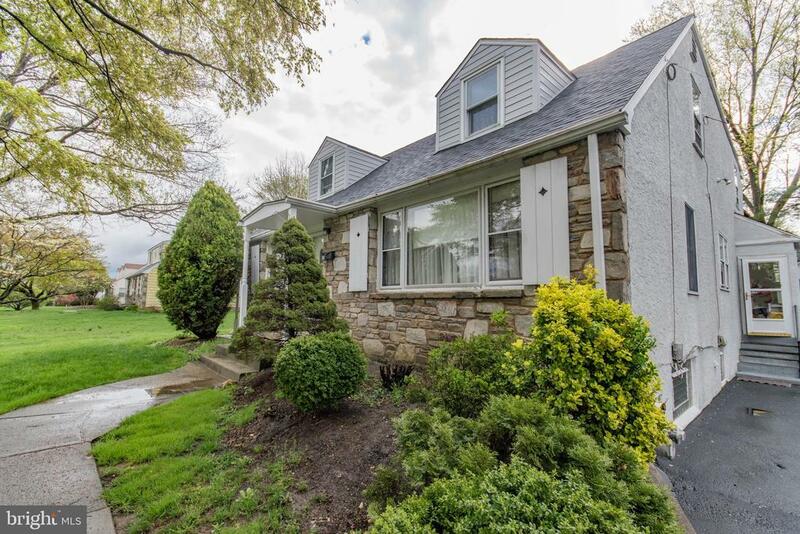 This quiet neighborhood location is extremely convenient to route 73, route 309, and PA turnpike. This is truly a home you should come check out before it is gone." "Calling All Investors. 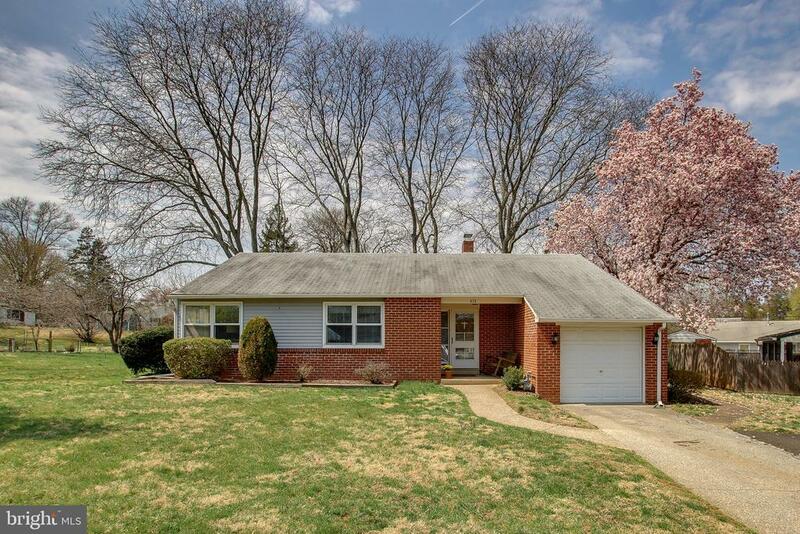 Wonderful Opportunity to Update This Cape Cod Located In Beautiful Neighborhood In Oreland. The First Floor Has Living Room, Dining Room, Kitchen, 2 Bedrooms and Bath Plus Large Sunroom. The Upstairs Has Roughed In 2 Bedrooms and A Full Bath. The Home Is Situated on An Oversized Lot. The Seller Acquired 25~ Feet Beyond the Fence from The Township. The Home Has A Full Basement and Hardwood Floors. Great Opportunity to Make the Home Your Own or To Flip. Come See It Before It Is Gone."